The technology industry is rapidly evolving, changing and growing; it’s important to stay up to date on current trends, and even brush up on skills well in advance of needing them, so you are prepared when emerging and disruptive technologies sweep the industry. Read on for three information security trends to be aware of in 2016 so your company can best prepare against potential hackers and cyber criminals. Data shows cyber criminals continued to extort information from businesses in rising numbers from 2014 to 2015, and the occurrences are expected to continue into 2016. High profile events of malware, phishing, mail fraud and external security breaches, paired with recent ransomware attacks, are causing information security to move up the ladder as a hot new issue entering the boardroom. Hiring and training IT staff with skills and knowledge in as many roles as possible can help mitigate instances of a cyber breach. Big data is coming to the forefront in 2016 and companies can’t wait to use this massive amount of information as a key player in decision making. Beware of jumping the gun and realize data sets can be manipulated from outside sources since many organizations outsource their code, which is not always free from backdoors. Be sure to question your findings and take human error into consideration, as well. This year, cyberattacks have proven to be more innovative and online criminals are turning to unique ways to evade security measures. Since attackers are rapidly increasing their IT knowledge, organizations should focus on custom solutions and pre-emptive approaches that can protect their data. For assistance with your information security efforts, learn more about our free Security and Threat Prevention assessment. The assessment provides unprecedented insights into your network with a report covering three key areas: security threats, productivity, and performance. We will help you identify the vulnerabilities of your network and can either recommended the right solution, or help customize a solution that is right for your unique business needs. 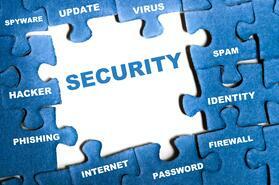 Contact us today to schedule your security assessment. Kerry Cotter is the Digital Marketing Manager at WEI. Kerry has 8 years of content marketing and digital marketing experience in the high tech industry. As a tech enthusiast herself, she focuses on the trends and new technologies impacting the enterprise—and works directly with our subject matter experts to deliver thought-provoking and insightful content to help our customers navigate the evolving IT world.